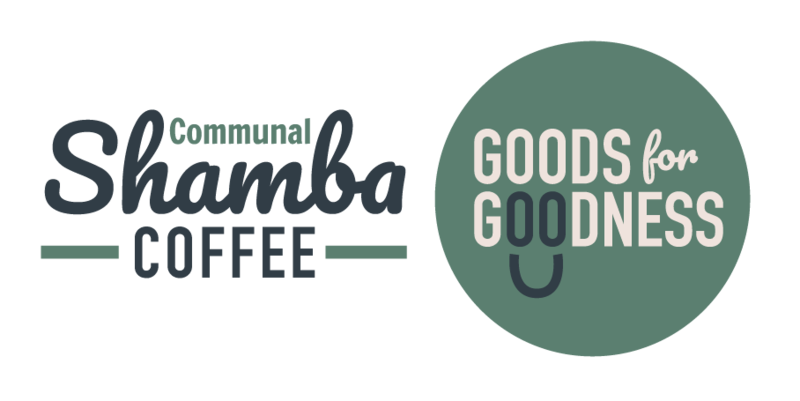 Communal Shamba Coffee was established by young Tanzanian farmers to facilitate trade of green coffee from smallholder farmers in Tanzania’s Southern Highlands. We are a social enterprise that connects growers with the export market. We focus on creating sustainable impact for the farming community. Communal Shamba aims to make coffee a catalyst for long term social change, beyond direct trading and fairer pricing. We are farmers working with fellow farmers in harvesting and processing our produce into specialty green beans, ready for export to our global partner roasters and buyers. We are a collective of smallholder farmers who operate under Mkulima Kwanza co-op. Our cooperation contributes economic security to farmers who rely on coffee to make ends meet by ensuring fairer and stable prices. We collaborate closely to tackle the above-mentioned challenges. In the future we hope to reach more coffee farmers in the region, working with them to grow and maintain farms sustainability and export green beans coffee through our network of global roasters and importers. Mkulima Kwanza is a fully registered Agricultural Marketing Co-Operative Society (AMCOS) based in Tanzania’s southern highland region of Songwe. In collaboration with Communal Shamba Coffee, Mkulima Kwanza becomes the first and only Co-Op in the southern Tanzania to specialise in processing non-washed Arabica coffees. Founders of Communal Shamba Coffee have teamed up with fellow smallholder farmers in establishing Mkulima Kwanza but also collaborating in producing and processing specialty coffee using experimental approach, which will increase farmers’ premium prices, reduce production costs and increase quality from farm to cup. This Co-Op’s focus is on “mkulima kwanza” Swahili direct translation for “farmers first”. Our hope is not just to produce good coffee but to use coffee as an agent for long term change for those who grow it. One way in which we envision coffee can benefit farmers, is through health and education. In the near future, we aim to pilot a social Impact initiative with main focus on health. Shamba NOUN (swahili) a cultivated plot of ground; a farm or plantation. What a gem. Her lifetime coffee farming experience and the hard work she puts into caring for her farms means that she has produced some of the best coffee during this harvest. She is our mama; she is our key farmer but has also kind heartedly offered part of her farm space for processing, fed us and even accommodated some of the Communal Shamba team members. Mama Mbunda embodies the Tanzanian spirit of Upendo na Umoja (Love and Unity, in Swahili) and shows the impact of communal living in achieving a common goal. It is experiences like these that define the Communal Shamba ethos: Farm goods for goodness of our communities. Raphael owns three coffee farms with a total of 2500 coffee trees. Some of these trees were handed down from his grandfather who planted them in the 1950s. His coffee experience has been expanded through previously working as a coffee buyer/collector for various companies during harvest seasons. Besides sharing some of his 2017 harvest with Communal Shamba, he also played a crucial role in quality control and assurance for our operation. Besides producing for Communal Shamba’s 2018/19 limited microlots selection, Raphael will be playing a crucial role in strategizing and implementing our production goals for the 2018 season. It is our social impact objective to continuously create jobs within the communities for coffee farmers such as Raphael. Hatson comes from a family of second generation coffee farmers and his inherited commitment to producing stellar coffee is beyond explanation. The rainy season started late in 2017 but Hatson did not want to compromise his farms so he religiously watered his 2500 trees using a bucket. It definitely paid off as he produced some of the best cherries within the village this season and we are lucky to share them with the rest of the world. He has also played a critical role in welcoming Communal Shamba into the community as we established our operations, some of which included numerous stages of construction, connecting us with various stakeholders and providing transportation. These relationships will be extended in the 2018 season. Keep following our journey and expect a tasty cup from us soon! Be part of the safari subscribe to our newsletter. Copyright 2019 © Communal Shamba Coffee.